Looking down Observatory Road at sunset. The name roots from when the University of Glasgow’s Observatory was located in Dowanhill from 1845 to 1939*, before moving north to Acre Road, near the Garscube Campus. *Some documentation I came across suggest that the Observatory and its lands were sold in 1937 for the sum of £10,000, with the Observatory being used for teaching until April 1st 1938. 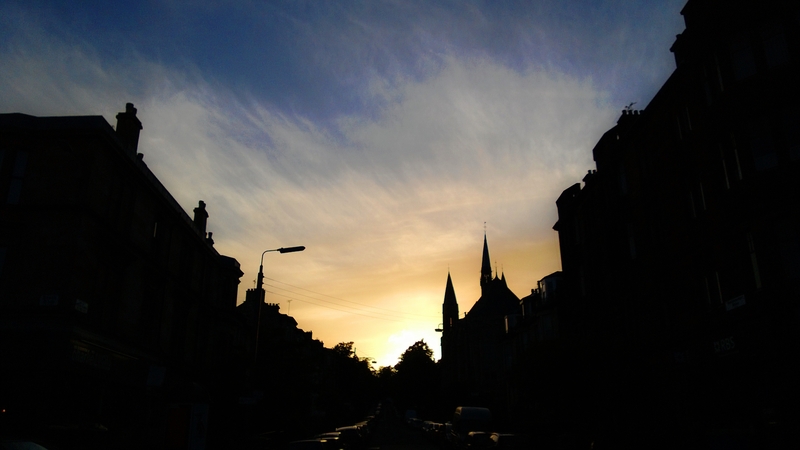 This entry was posted in 2013, Glasgow, June, Photos, Scotland, University of Glasgow and tagged 2013, 365 Photos, Dowanhill, Glasgow, Glasgow University, History, June, June 2013, Observatory, Observatory Road, Scotland, Silhouette, Sunset, University of Glasgow. Bookmark the permalink.